ADHD stands for Attention-Deficit/Hyperactive Disorder. It is a medical condition of the brain that makes it difficult for children to concentrate and control their behavior. Without ongoing treatment, the behavioral disorder often interferes with the child's development of a healthy and normal life. According to the American Academy of Pediatrics, ADHD is one of the most common chronic medical conditions seen in children, ages 6-12 years, with boys being more likely than girls to be diagnosed. · Inattention: Difficulty in paying attention, does not follow-through on tasks, easily distracted, daydreams, makes careless mistakes and loses items. · Hyperactivity: Seems to be moving all of the time, squirms, jumps and climbs on furniture and talks too much. · Impulsivity: Acts and speaks without thinking, interrupts others, difficulty waiting for things and calls out answers before question is complete. A child does not need to show all of the symptoms described above to be diagnosed with ADHD. Having one or more symptoms usually determines the type of ADHD. · Inattentive Only: Not overly active and does not disrupt classroom or other activity. Most common with girls diagnosed with ADHD. · Hyperactive/Impulsive: Shows both hyperactive and impulsive behavior but can pay attention. Diagnosis is more frequent in younger children. · Combined Inattentive/Hyperactive/Impulsive: Shows a combination of symptoms in each of the behavioral categories. This is the most common diagnosis of ADHD. · Behavioral Therapy: Therapists can help parents and children set realistic goals on behavior and school work. 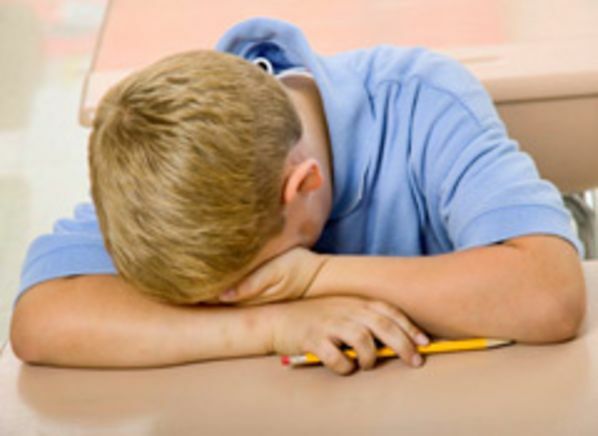 · Medication: Your child's physician may recommend a stimulant to relieve ADHD symptoms. · Social Skills Training: Training courses can help parents deal with ADHD behaviors in a positive way. Children can learn appropriate behaviors for school, home and various settings. · Education: All individuals involved in the child's treatment need to understand what ADHD is and be fully aware of the child's symptoms and treatment plan. Every child has moments when they have trouble listening to parents, paying attention or settling down from an excitable activity such as a family birthday party or heading off to a friend's house to play. Even though these moments are frustrating for parents, it does not necessarily mean your child has a behavioral disorder. Children need to have the symptoms for at least 6 months, in 2 different setting, to meet criteria for the diagnosis. If you are concerned that your child may have ADHD, ask other caregivers and educators to monitor your child's behavior. Document your findings and discuss this with your child's physician. Your child's doctor may look for other co-existing conditions such as depression, anxiety or a learning disability.